Reminiscent of ancient fossils, the circular forms of Barkbats centre is hand-textured to create contemporary art. A popular design from the Quintessa collection, Barkbats is creates using leafed art on a painted panel. The bronzed finish enhances the intricate patterns and brings a continental charm to the piece. 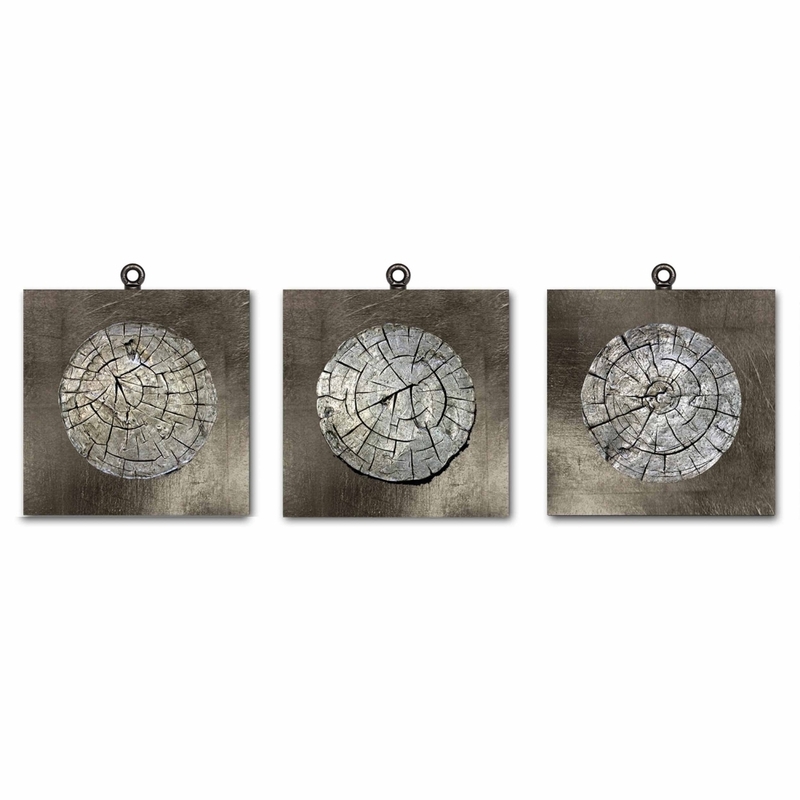 Available in a set of 3, create a unique art installation by combining rows Barkbats in a large unadorned space. This exquisite design looks beautiful in a minimal space with white washed walls and contemporary furniture. Barkbats will bring a touch of European glamour to any home interior. Make an enquiry for more information.